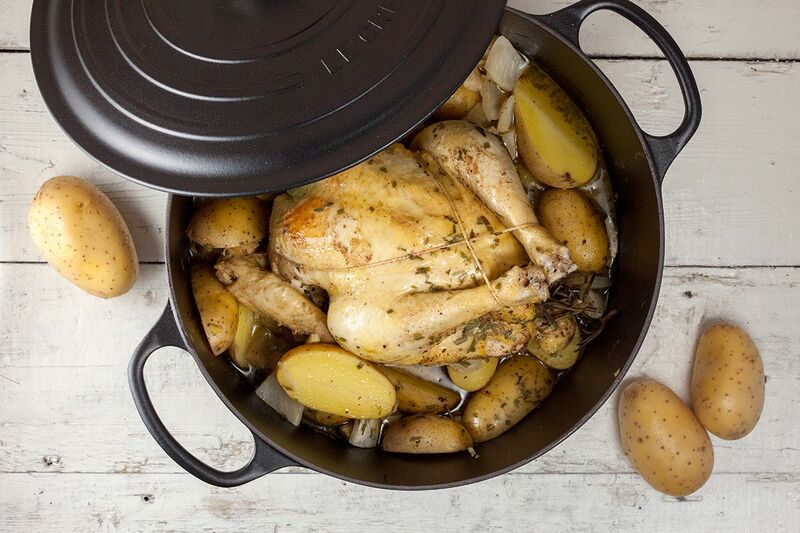 One-pot whole roasted chicken with fennel perfect for spring or summer. Using fresh vegetables and herbs, your whole house will smell amazing! REMOVE the hard kernel of the fennel bulbs and slice them into large chunks. PEEL the cloves of garlic and onion, then slice into large chunks and set aside. WASH the potatoes and slice into halves. USE the pestle and mortar to grind the star anise and cardamom pods. PAT the chicken dry using paper kitchen towels and season the entire chicken with the herb mixture and some salt and pepper. DON’T forget to season the inside of the chicken. INSERT twigs of rosemary into the chicken. 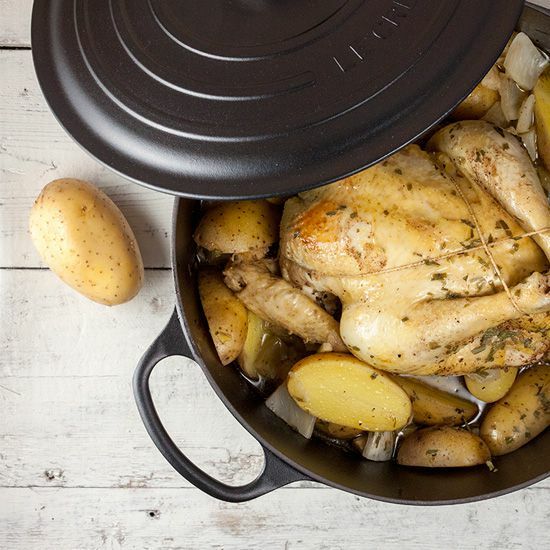 HEAT up a splash of olive oil in the large pan and cook the chicken on medium-high heat for a few minutes on each side. 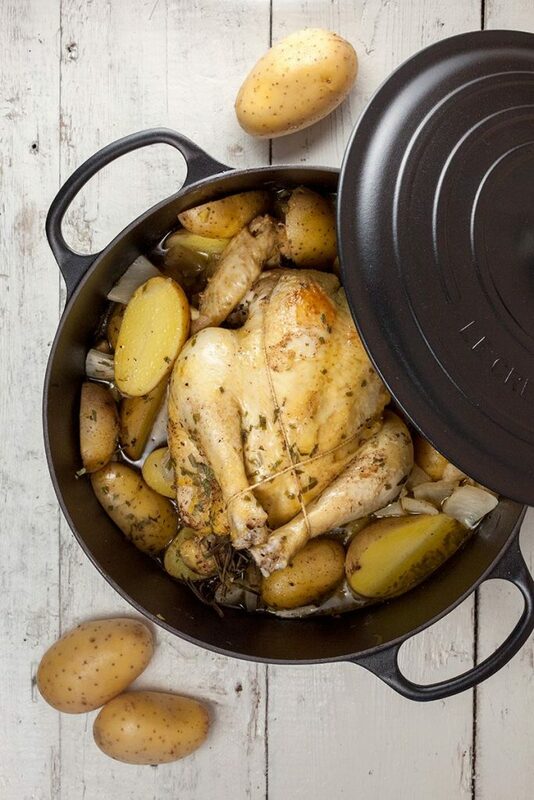 ADD fennel, onion, garlic and potatoes around the chicken. SEASON with extra salt and pepper. 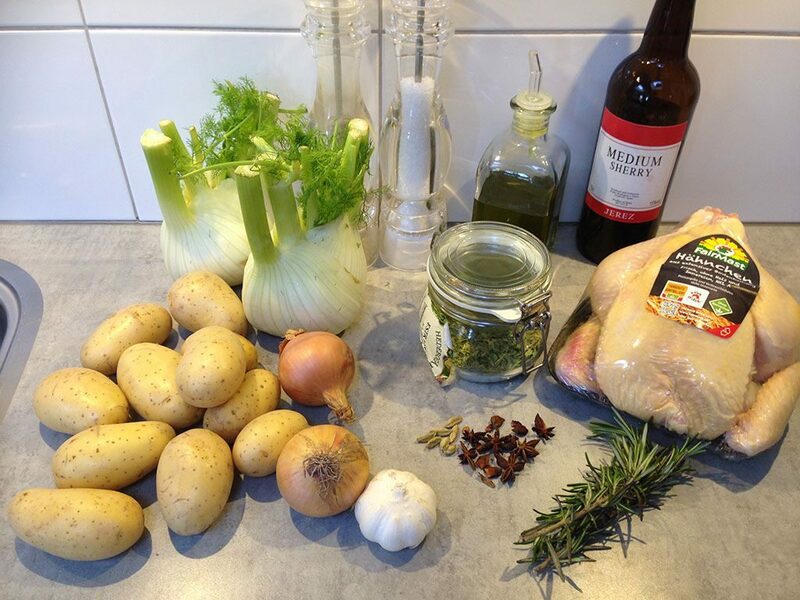 DEGLACE using sherry and optionally add more tarragon on top of the chicken. PLACE the lid on the pan, turn down the heat and let the whole chicken simmer for about an hour. CHECK the chicken using a thermometer, its core temperature should be at least 71 degrees Celsius or 160 degrees Fahrenheit. Enjoy your meal!